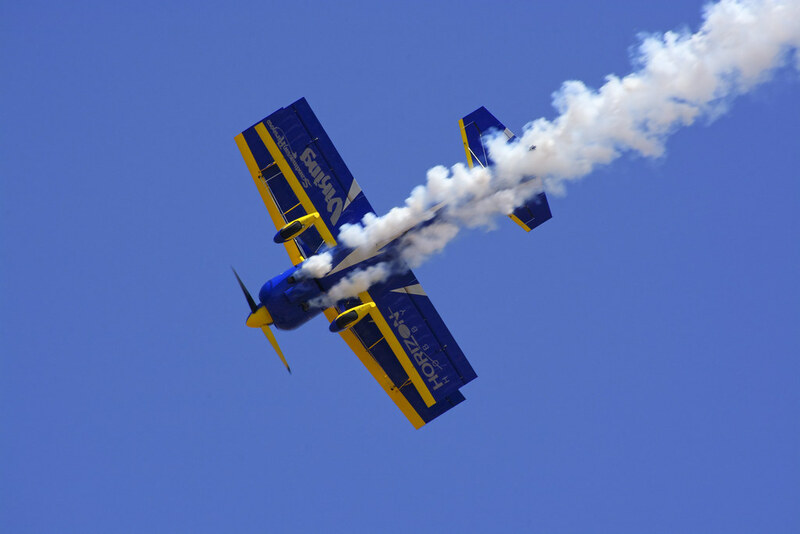 Aero India is a biennial air show that takes place on an airfield on the outskirts of Bangalore. As per Wikipedia, it’s the world’s largest air show after the one in Paris. I first came to know of it when a friend of mine armed with a Nikon D70s and a non-VR 70-300 f/4-5.6 came back with some fabulous shots way back in 2007. Ten years later, I got to visit the show with a Nikon D7100 and an AF-P DX 70-300mm f/4.5-6.3G VR. First off, let’s talk about why I chose the “incompatible” D7100 body instead of the fully compatible D3300. It’s not about IQ. Both have comparable 24MP sensors and I shot 12-bit on D7100 (more on that later). It’s actually about AF. D3300 has a 9 point AF system whereas D7100 has 51 points. More than the number of AF points, though, it’s the possibility of AF-C with d9 (set point + 8 surrounding points) tracking AF that puts a big gap between the two bodies. I don’t have a 39 pt body like recent D5xxx or a D7000, but both of them offer d9 tracking mode, so I expect them to perform similarly. With a really long lens and high speed action, d9 mode helps in holding focus more reliably. I did not use d21 or d51 because one, the direction of motion of aircraft is highly predictable, thereby making it less difficult to keep them positioned at the active AF point. The other factor is that the D7xxx line has a really low resolution matrix meter (2016 pixels), which makes it difficult for the camera to know what the subject is. See slides 6 through 8 of this dpreview slideshow to know more. The other thing missing in D3300 is the ability to enable back-button AF. I normally use the shutter button to trigger AF, but when I’m shooting with telephotos, there’s nothing better than the agility afforded by BBAF. 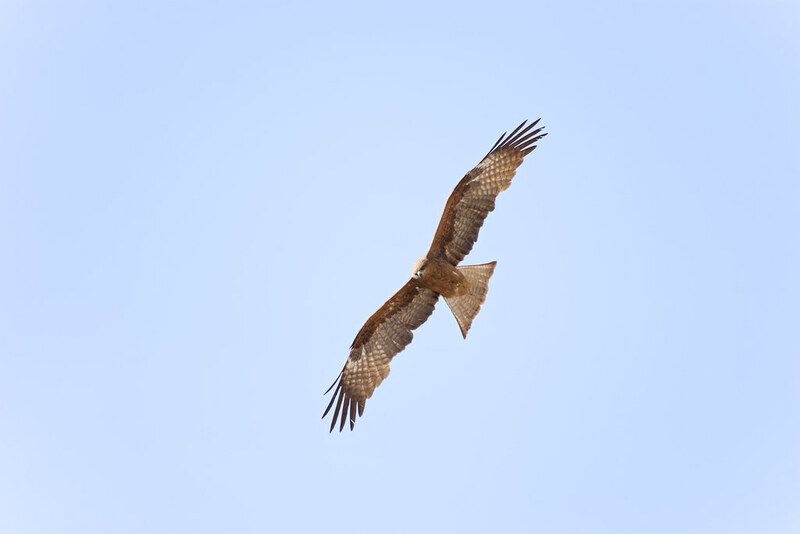 I have saved a custom setting (U1/U2) on the D7100 for BIF (Bird In Flight) shooting that switches to BBAF, among other setting changes. Despite it’s super slow AF speed, I have shot quite a few BIFs with the 55-300 VR. That VR bit is rather useless, though, since at the shutter speeds I use for BIFs, (1/1000s – 1/2000s) it’s more of a hindrance to smooth panning and tracking than a benefit. The inability to disengage VR on the AF-P 70-300 VR with the D7100 was a significant downside making me strongly consider going ahead with 55-300 VR. What did switch me to AF-P 70-300 VR, though, was its responsiveness in tracking. And it’s quite sharp at the long end compared to 55-300 VR. A couple of days before the airshow, I tested the new zoom’s tracking ability. It yielded some convincing shots, even with the D3300. But that was with VR turned off. 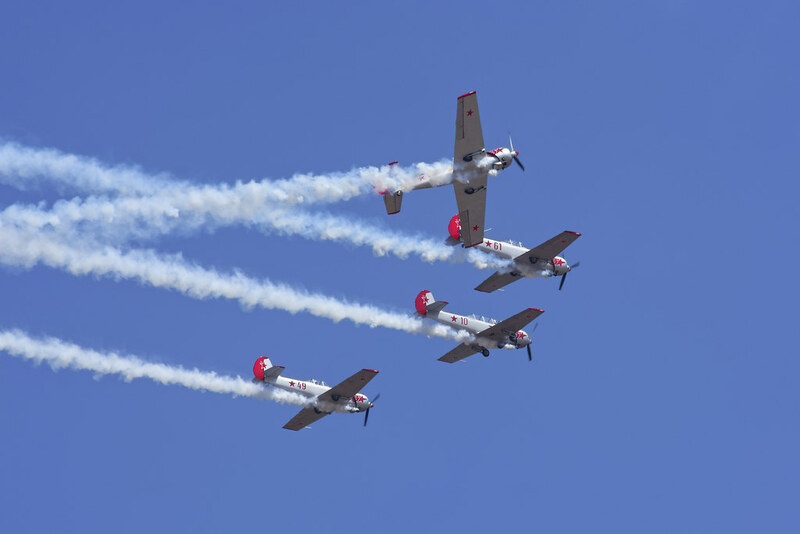 I was quite certain of using the D7100 for the air show, but I still had doubts over the lenses, so I carried both. When I reached the venue, I tried a few settings with both the lenses, finally settling for the newer model. 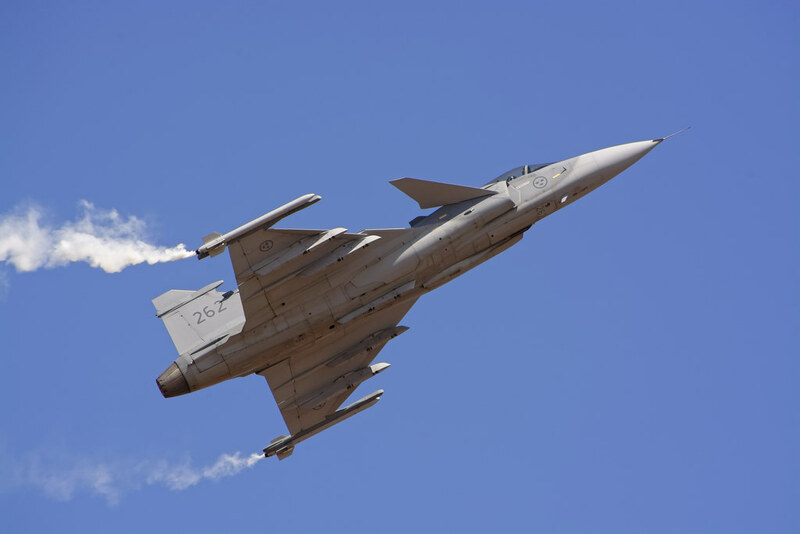 In the few minutes I got between Gripen’s landing and the next show by Suryakirans coming up, I switched from 14-bit raws to 12-bit, formatted both my fast cards and decided to start from scratch as I had another 3 hours of the air show left, with repeat performances from some of the aircraft that I missed. Once I got settled with the settings and got into a shooting rhythm, it was smooth sailing from there on. I did wish for a few things to be better with the lens, though. Possibly the biggest frustration with this lens in the field was loss of focus on zooming. The lens was reasonably fast to acquire focus while the aircraft was at a distance or taking off. 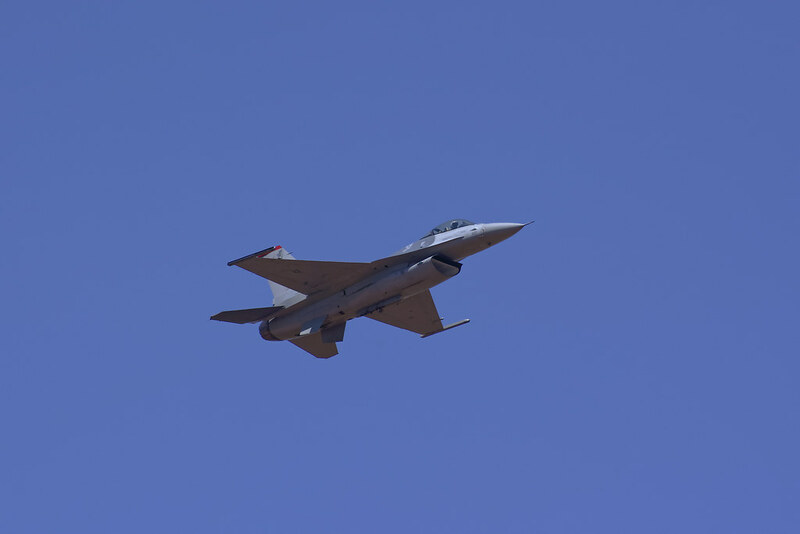 It also held focus admiringly well while the aircraft was on approach, even at high speeds like the F-16 Falcon that put out the fastest show with the widest stage of all. However, as the aircraft got close enough to start clipping the frame at 300mm, I tried to zoom out but lost focus in the process. This happened every time I tried. Though it re-acquired focus in a second or two, it seemed like eternity and it was pointless anyway, since I was trying to time the shot precisely as the aircraft was right in front. As a result, I had to shoot at a shorter focal length and crop later. F-16 Falcon. D7100 with AF-P 70-300 VR at 250mm, cropped to 500mm FX equiv. The other problem I faced with the lens was with VR staying on all throughout. While panning in a straight path was less of a hindrance, though it surely was, the bigger issue was with smaller aircraft performing quick direction changes. The VR caused my adjustments to lag, leading to a jarring experience. I could also not get panning shots at slow shutter speeds to get some motion blur in aircraft propellers. airshow.se Viking. D7100 with 70-300 VR at 300mm. Frozen propellers. The lens exhibits CA and also vignettes very badly at 300mm, even at f/8 – f/11 apertures that I was using. This is a big problem while shooting against a uniform background such as clear sky. As of this writing there’s no lens correction profile for this lens in DxO Optics Pro (my raw editor of choice) so I had to use manual vignette and CA correction, which too were not satisfactory enough. I was highly interested in shooting the aircraft at the moment of switching direction while they were the farthest away from the show area. Many such shots were encumbered with heat haze, but of the ones that weren’t I found that there was quite some loss of sharpness at 300mm, compared to the shots at approx. 250mm. 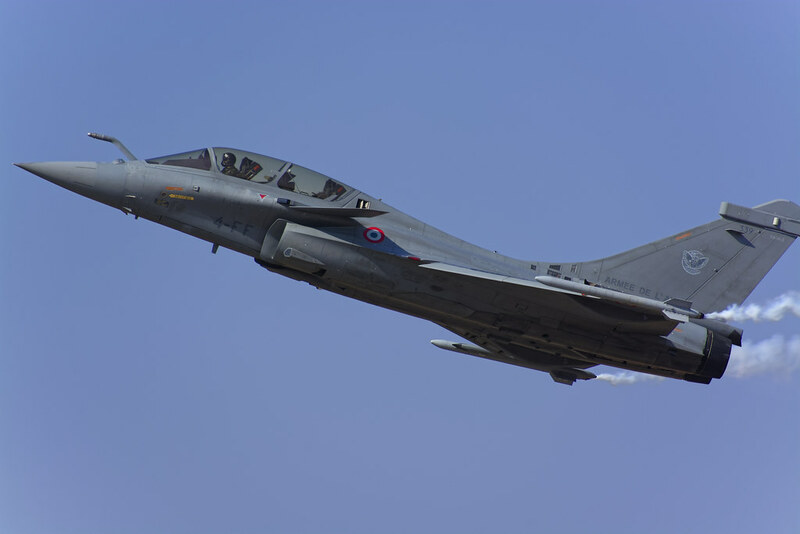 Dassault Rafale. D7100 with AF-P 70-300 VR at 277mm, cropped to 800mm FX equiv. Along with the lens shortcomings, I should also mention that I spoiled some shots out of my own mistakes. The most stupid of these was jerking on the shutter button! Despite many years of shooting experience, I still found myself spoiling some long shots that needed precise timing, due to the nerves. If I had the ability to burst at will, I could have mitigated some of it. Times like these are when one would also wish for a heavier lens, which the AF-P 70-300 VR is not by a long shot. When out shooting fast action like an airshow, the D7100’s slow buffer and the AF-P DX 70-300mm VR’s niggles leave one wanting for better. However, for anything that allows a bit more breathing space between shots, the 70-300mm VR is a very satisfying lens and should make a very compelling sports combination with a compatible D5xxx body, given the price. As for me, despite some gear anxiety and in-field fumbling with multiple issues, it was an experience that I enjoyed a lot. For the next time, though, I have committed to an upgrade to 128GB of SD cards, a D7200 and a 70-200mm f/4 VR. 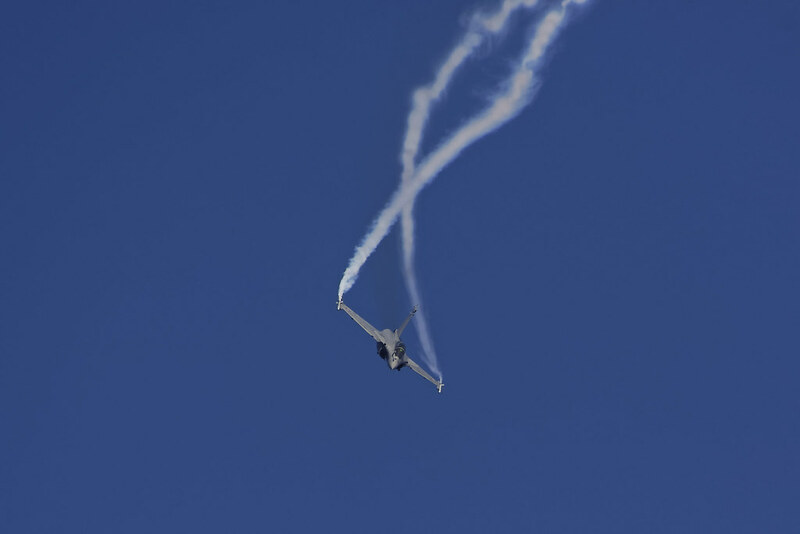 To see more of the interesting aerobatics, please have a look through my Flickr Album.